Tarun Mathur, a 16 year old from Orlando, FL is the founder and president of the RICE Club of Lake Highland Preparatory School, USA. He started the club a couple of years ago with the objective of collecting money from his family and friends for the EVF USA. In the first year, Tarun and his friends collected sufficient money from their communities to run 3 schools. His 3 schools are running in the North Eastern part of India. Inspired by their success and helped by his school mentor, Mrs. Bork, this year Tarun's RICE club increased the scope of their activities like selling food in the school etc. and managed to collect enough money for 11 schools including a donation from Lake Highland Preparatory School. He now plans to organize brain storming sessions to find more ways to fund Ekal Schools in greater numbers. He also wants to help other children start clubs in their own schools and one has already begun. 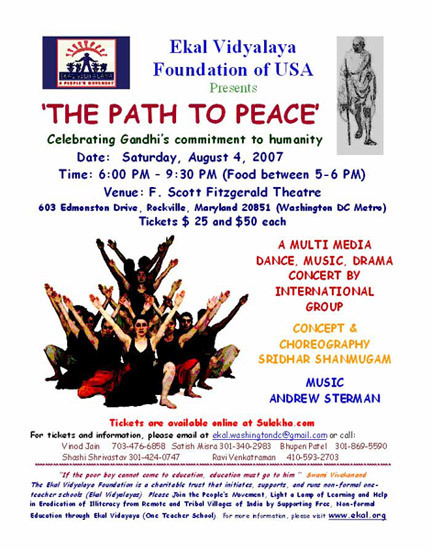 Ekal Vidyalaya Foundation Washington DC Chapter was greatly honored by the presence of His Holiness Sri Sri Ravi Shankar on July 4 2007. 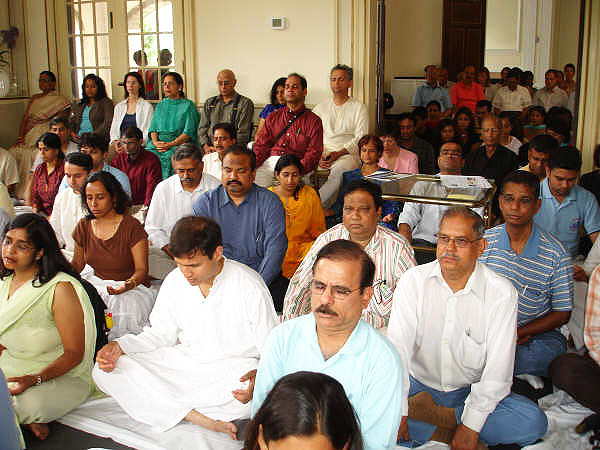 This event was held on July 4, 2007 at the headquarters of Art of Living Foundation (AOL) in Washington, DC. We were honored to also have Swami Dheerananda, the resident spiritual master (Acharya) of the Chinmaya Mission Washington Regional Chapter (CMWRC). The lecture on "Empowerment Through Education" by His Holiness Sri Sri Ravi Shankar was arranged as a part of Great Teacher Lecture Series program of the Ekal Vidyalaya Foundation (Ekal) of USA. 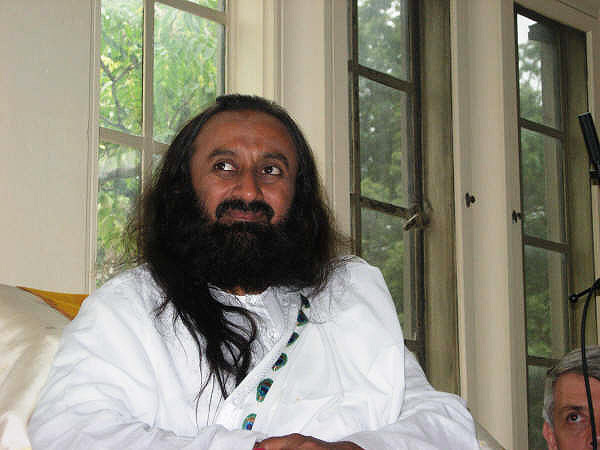 Sri Sri Ravi Shankar Guruji's talk on "Empowerment through Education"was highly inspirational and enlightening. He said education should be empowering, otherwise it does not serve any purpose. He said one needs to go beyond certificates and degrees and become an entrepreneur and caring person to take full advantage of education. He mentioned that in India, there is almost zero percent employment among the uneducated and 20% unemployment among the graduates and even higher among the post graduates. This shows that there is something lacking in our education system. He said we need to provide job related and entrepreneurial skills. He said that education is a must for everyone and it should make an individual open minded, compassionate and willing to learn and to accept. He praised Ekal's efforts in extending the benefit of education to those who need it the most. Guruji then answered questions from the audience. 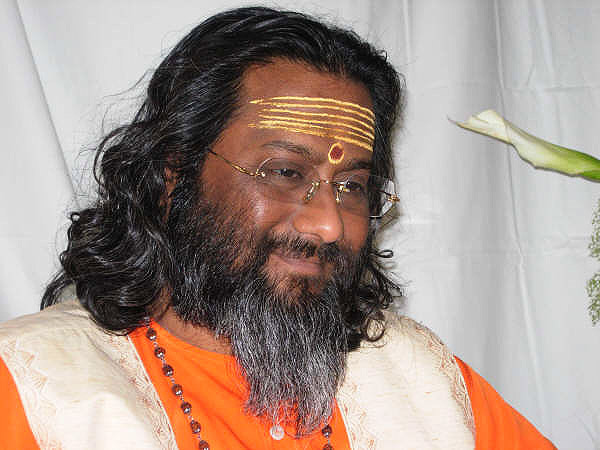 Swamiji reflected the vision and wisdom of Chinmaya Mission. His simple example of everyday life reflected how great teachers guide the earnest learner and influence the development of the next generation. Srimati Bharati Shah wife of Shri. Raj Shah (CEO, CTIS) an ardent supporter of Ekal Vidayalaya Foundation of USA presented a token of appreciation to Guru ji and Swami Dheerananda ji. Guruji also bestowed his blessings to both CMWRC and Ekal DC. Ekal DC is thankful to Youth for Ekal Sewa (YES) and to volunteers of Art of Living for providing devotional music for the event. Master of ceremony was Ms. Monica Thakrar a volunteer of Ekal DC and Chinmaya Yuva Kendra. 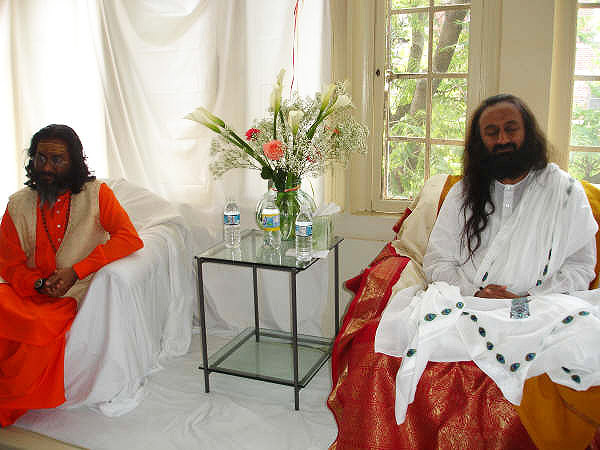 The program ended with Sri Sri Ravi Shankar Guruji guiding a meditation for peace. Event was followed by sumptuous lunch for over 200 participants that was personally served by Sri Sri Ravi Shankar Guruji and Swami Dheerananda Ji. Ekal Marathon participated in the San Francisco Marathon. We were able to raise over to $3600 from this event. Below is a report about the runners. We had 6-half Marathon and 8-Full Marathon finishers. We had 5-new Half Marathon finishers and 3-new Full Marathon finishers. Here is the PR for all of our finishers. Great Job Guys! Special congratulations and thanks to Kamal, Naren Yadav, Pankaj, Sriram, Sridhar, Alok, Uday and Vishal who reached San Francisco city by 8:00 AM and worked until noon. United States Office of Personnel Management Washington DC Office of Combined Federal Campaign (CFC) operations has found Ekal Vidyalaya Foundation of USA to be eligible for inclusion on the National Part of 2007 Combined Federal Campaign (CFC) Charity list. The CFC code that donors can use to designate their contribution is 12279. Please spread this news among all the government employees who would like to donate to Ekal Vidyalaya Foundation in 2008. For this year's annual show, Nava Nritya Dance Academy of Philadelphia (www.navanritya.org) teamed up with the local Ekal Vidyalaya Coordinators, Sanjeev Jindal, Nand Todi, Anand Mittal, Bhim Chopra and Mukund Kute to help educate children in tribal and rural areas of India. We perform all year round at various prestigious events such the US Treasury, UPenn Museum, churches, Indian organizations and universities. All our students and dancers, children and adults have fulfilling and demanding occupations and careers and they pursue their passionate hobby of dance with utmost dedication and enthusiasm. In addition, we dedicate our annual shows each year to a charity organization to help the underprivileged in India. Our first show’s proceeds in November 2005 benefited Sankara Eye Foundation and we raised $4800+. 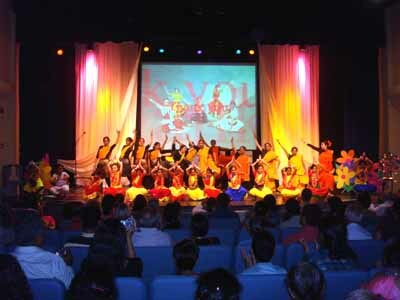 This year our show, “Vasant –Sensations of Spring” on June 3rd, 2007, held at Calvary Vision Center Auditorium, Blue Bell, PA was dedicated to Ekal Vidyalaya Foundation. We proudly showcased a total 24 dances in 2 hours using music in 8 different Indian languages: combination of beautiful classical Bharatnatyam, contemporary Navanritya, and regional traditional folk dances celebrating the gorgeous season of Spring. More than 200 people attended the show and with the greater Philadelphia area community’s support, we were able to raise $31,000+, approximately equivalent to 85 new schools. We have grown tremendously over the past few years and we look forward to making more artistic and charitable contributions to the community here and in India. Mettupalayam, Coonoor, Pykara, Masinagudi, Pandalur and Gudalur. 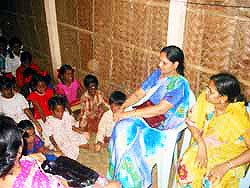 The Tribal children from Ekal villages of above areas were present on this occasion. 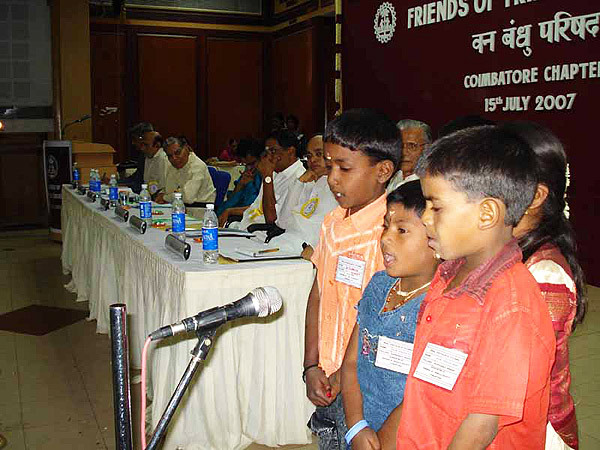 The programme was started with the chants of Gayatri Mantra, followed by Saraswati Vandana by those tribal children. They also presented dance and songs dedicated to mother earth. Please click the following image to see a glimpse of the event. 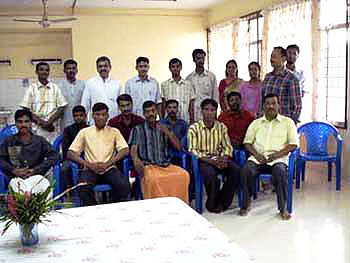 A Chapter Orientation Course (COC) was conducted on 22nd July 2007 at Trivandrum, Kerala, for opening of a chapter of Bharat Lok Shiksha Parishad. It was guided by Shri G. Anil Kumar - All India Yojna Prabhari Ekal Vidyalaya and Shri Ganesh Shenoy - All India Sah Yojna Prabhari Ekal Vidyalaya. COC is mainly concerned with the persons involved with the workings of a Chapter. 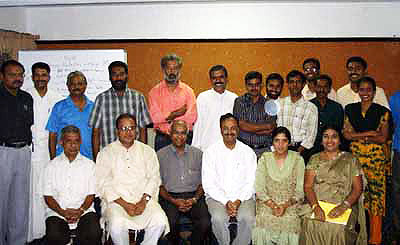 Ten prominent persons of Trivandrum attended this course and were surprised to find the system so transparent and fool proof. They all joined the movement with much enthusiasm of heart. In that course apart from those ten persons, there were also some young ones from different stream like - M Phil, Lawyers, etc, who expressed their keen interest to join the this noble cause as full time workers. This description of the heart touching incident is worth reading, This tells of the feeling of how Ekal has such dedicated workers. 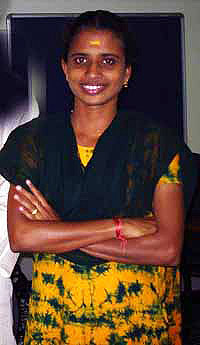 A tribal girl named Bindu is doing LLB from Trivandrum Law College. She knows Pritesh - Ekal Vidyalaya Yojna Pramukh of Kerala, who is 25 years old and has offered his life for EV cause. She is determined that after finishing her study she will join Ekal Movement as a full time worker since this is a noble movement. 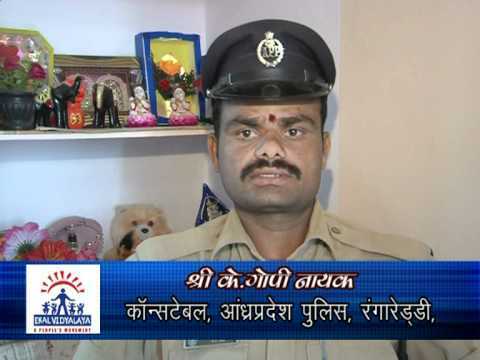 Sri Anil Kumar is an auto driver of around 26 years old and also a gas connector. This man speaks fluent Sanskrit in his house with his wife. He has a 6 months old son. One day he visited Ms. Bindu's hostel in connection with the Gas connection. There he was introduced to Ekal Movement by Bindu. He was very much impressed to hear the greatness of Ekal Movement and he decided to join EV. He went to attend an Abhyas Varg in Waynnad and also visited an Ekal School there. He stayed one night in the village amongst tribal people and inquired everything he wanted to know from the villagers. From their answers his resolution to join EV got firmed. 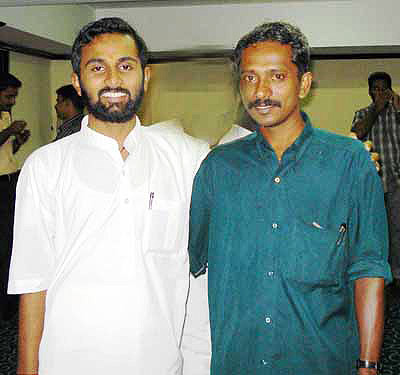 When he came back to Trivandram he consulted Priteesh and expressed his intention to do some thing for tribal people in and around Trivandrum. Priteesh asked him to identify the tribal villages where he wants to work. That very day he went to the Planning Commission office and found out that total 164 tribal villages are there in and around Trivandrum in a radius of around 75 Kilometers. 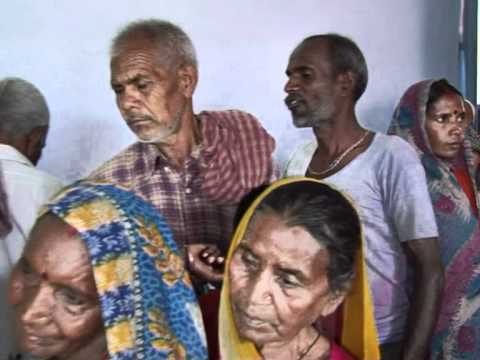 He informed Priteesh that 164 villages are there where Ekal Vidyalayas need to be opened. Priteesh was amazed to see his zeal. Anil asked Priteesh for the next step. Priteesh said that for starting of the schools we want full timers. Next day he bought a motorcycle on loan by taking money from his friends to visit those villages. He sent two boys as full time workers in the first batch and in the second batch one boy and one girl. For his family needs he runs his auto rickshaw from 10:00 AM to 1:00 PM and he spends the rest time for Ekal. With the availing efforts of Anil we are going to open 90 Ekal Schools in forthcoming Session DPS 2007-08 in 90 tribal villages of Trivandrum area. One of SVOs of Ekal Vidyalaya is located at belgaum - a small city on the border of Karnataka and maharashtra. It was formed in march 2007. From the very beginning of its inauguration it has taken steps to be self independent and has collected money for 75 schools till date under the leadership or guidance of its president Sri Suresh Hundre, who is a businessman of Belgaum. 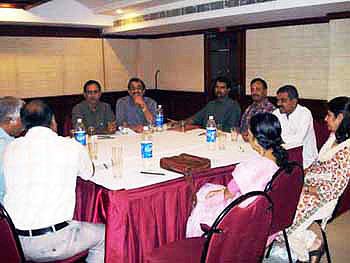 In a meeting held on 17th July 2007, presided by Srimati Manjusheeji (All India Sangathan Prabhari of Ekal Vidyalaya), Sri Ganesh Shenoy (All India Sah Yojna Pramukh), Srimati Sangita Gupta (EVFI Global Co-ordinator) and Sri Gouri Shanker Gupta (Vice President of Gram Vikas Foundation of India) all the levels of Samanvay Samiti - SVO, Anchal, Sankul, Sanch and Upsanch level, were present. When this question was asked as how many times these people have gone for vanyatras (village visits), the great answer was that they had visited the villages not once or twice but many times. They have made it a point that on every Sunday at 7:00 AM they gather at the chamber of commerce of Belgaum and proceed from there for village visit. 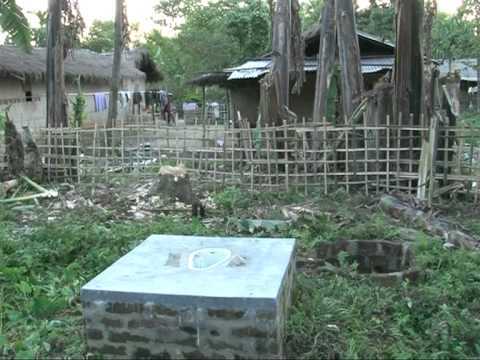 To make the schools of the villages self sufficient the SVO has started a pilot project. 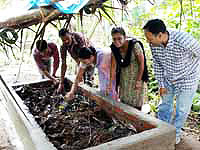 They have put 7 Vermi Compost bed each in three villages. They have formed a committee who will monitor the beds as well as will buy the organic manure after its production. It was good to find out that before starting the pilot project extensive ground work was done to accomplish it. Photo is given on left side of this para. 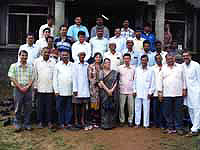 We all visited an Abhyas Varg also which was going on for teachers. That varga was held for expansion of schools in Khanpur Sankul (a sankul is comprised of 90 schools). There were many teachers gathered for the trainings. It was a an amazing scene. Our SVO members are big businessmen and qualified professionals. Sri Ganesh Shenoy is the motivator of the team members. 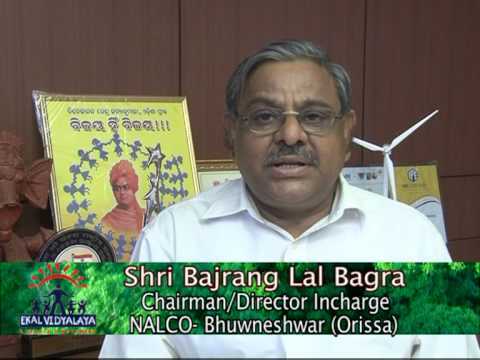 We invite all to to visit belgaum to encourage them. If you would like to attend or want to know more please contact to Mr. Ramesh Shah at his email id - ramesh@ekalvidya.org or his phone numbers - 281-933-6169 (Residence) & 281-300-7424 (Cell). Ekal DC Chapter's annual donor appreciation day will be held on November 3rd. Ms. Nisha Narayan will be directing a Hindi play. Those who would like to participate should contact Rajivee Shrimali at 301-461-1983. My introductions to FTS were little. 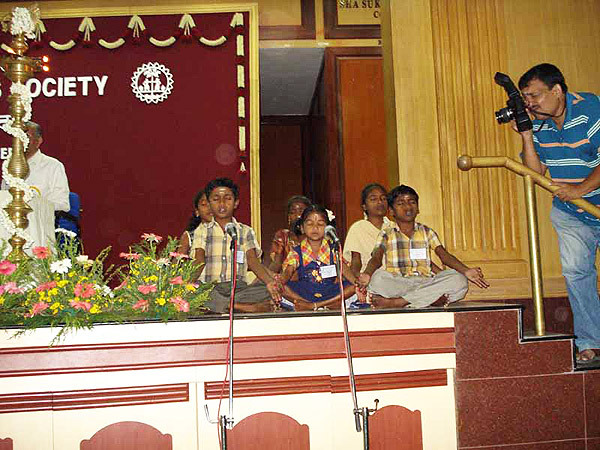 Tamil children, welcoming everybody, with a confident Namaste, The universal love between your palms. 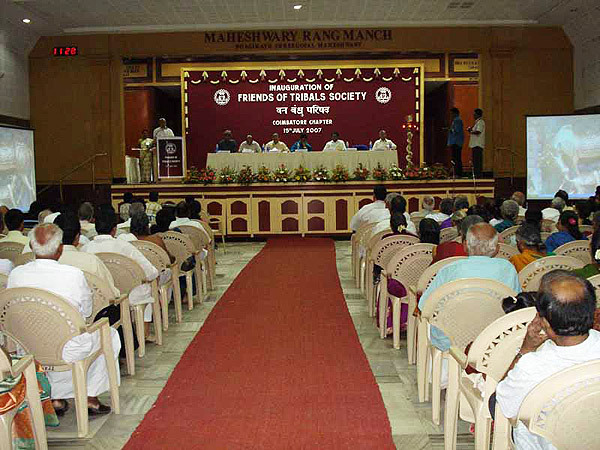 Shri Rameshwar lal Kabraji, National President of FTS visited Erode on 9th July 2007. Inspired by him and his wonderful team, we a couple of ladies from Erode, planned to visit the nearest school situated at Mettupalayam 110 km from Erode. We were received by Mrs.Hema Satish, a very confident, dynamic woman, who is a full time worker of FTS. We were gratified by the superb welcome we got from the children, teachers and the villagers. Discipline, cleanliness and the beautiful content faces of the children were the satisfying point in our visit. Our first impression for FTS was made the moment we saw a nice poster of Bharat Mata in the middle, goddess Saraswati on the left and Dhanvantri Bhagwan on the right. Very true , we have forgotten Bharat, the land of the great ones; in the corporate and modern life. Goddess Saraswati have been overtaken by Laxmi Mata (Everything in MONEY) and hygiene, cleanliness, healthy body is advocated through the God Dhanvantri. People are forgetting their culture in this world of Money, power and modernization. FTS is trying to hold our culture (sanskar) and beginning the transformation from the very roots of India. I hope, we the people from Erode, a small town in Tamilnadu join hand in hand for this wonderful cause of saving India from illiteracy, Alcoholism and Poverty with FTS. We are planning to set up an Anchal Samanvay Samiti in Calicut. For this reason, Priteesh took us to visit P. Ramesh of Calicut who is a big business man and runs a hospital of 500 beds at Trivandrum. He had visited our school in Waynaad and was impressed by our work. We told him that he has to become a motivator for our karyakartas by giving them love and courage. Rameshji told us that Ms. Shiba - one of our full time karyakartas of Kerala is a tigress having so much love and dedication for the country that she does not have fright in going alone in the tribal terrorist belt. 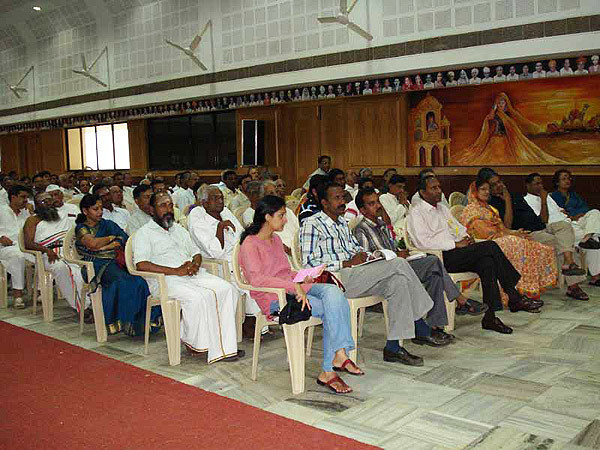 Next day Rameshji and we all attended a Varg going on for training of our full time workers. There through his speech he motivated the karyakartas and assured them for his full cooperation in their difficulties. Kannanji (businessman) and Dr. Satish (Surgeon) of Kottayam is worth praise for his guidance and support to SVO of Kerala. We had a good meeting with them. During the meeting Sri Ganesh Shenoy expounded the workings of a efficient SVO as per Ekal System.